The All-American Rejects' last album came out in March 2012. Kids In The Street showed a slightly different sound for the band, but it was a great fit. The songs were more mature, more reflective, and more revealing. The whole record was amazing, and possibly their best release yet. And it certainly deserved more attention than it ended up getting. The band released their singles and went on tour, and by early 2013, they were ready for a little break. They focused on other things for a while. Signer Tyson Ritter got engaged that April, and was married by New Year's Day. Finally, in mid 2014, The All-American Rejects were refreshed and ready to get back to the music again. They played some shows here and there around the summer time, but were already thinking about recording their next album. In spite of plans to record an album that fall, the band evidently did not enter the studio. In 2015 they released on new song, "There's A Place," for the drama film Miss You Already (in which Tyson Ritter appears). In spring 2016 The All-American Rejects officially began working on new music, with Benny Cassette producing. The band premiered their new single, "DGAF," live in San Diego on July 21st; though the band had plans to release a music video, we still have not seen that or the studio version of "DGAF." 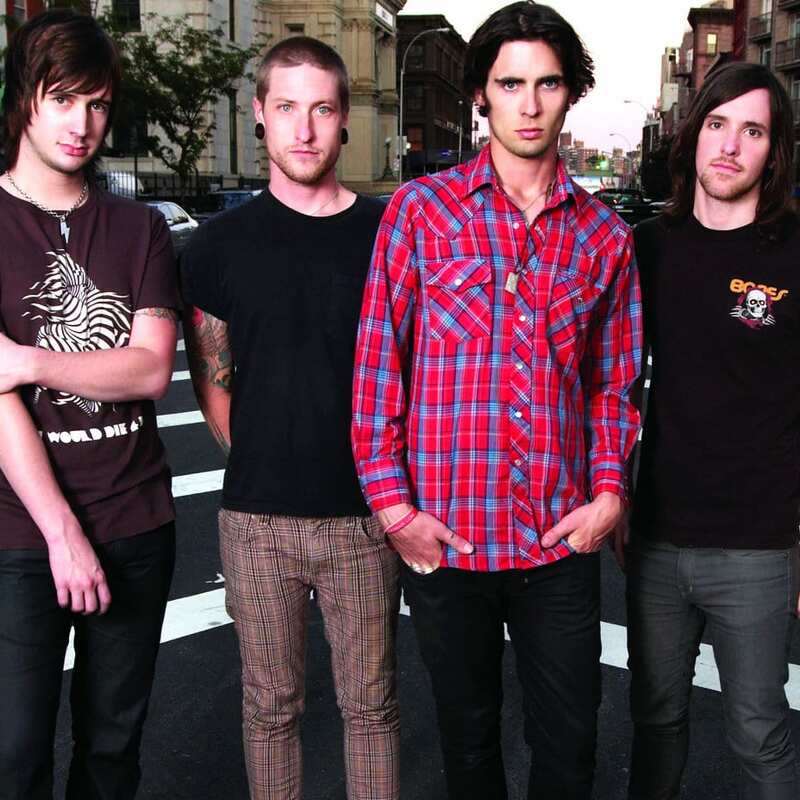 In summer 2016, The All-American Rejects stated that they were not releasing a full album. Instead, they said a 5-6 song EP would be out in 2017. In January 2017, they entered the studio to record 3 or 4 more songs. In February and March, Tyson shared short previews of 4 of the new songs on Snapchat. He also shared some lyrics on Twitter. On July 7th, The All-American Rejects released two new singles, "Sweat" and "Close Your Eyes," along with a shot film music video. Billboard reported that a full-length album (rather than an EP) would be out in fall 2017. In September, the band shared Rejected, a mini documentary about their comeback and new music. The film previewed two new songs, "Running From My Demons" and "Send Her To Heaven," both of which Tyson had teased on Snapchat earlier in 2017. With the documentary came conflicting info that the new music is an EP, rather than a full-length album, and that it will be out in 2018.
cannot wait for this new album. AAR has been my favorite band for 13 years and each time the waiting kills me! update this they are officially in the studio per twitter, snapchat, and instagram even heard clips of some new songs! YOU NEVER UPDATED SMH ?? Ok, so you guys are doing a terrible job with updating this. I am a huge fan and have been very impatiently awaiting the new album/EP or whatever we get. After this page indicating that an album, or even a damn song would be available in May and the teasing from AAR on FB and Instagram, I was really excited. Instead they announced a new tour and while that in itself is news, where is the album? Where is the song? Can i get a damn update please? Thank you for checking our page for news about AAR’s next album. We’re just as impatient for the new music as you are. Unfortunately, no one in the band has mentioned the new song or EP/album since April. They announced their summer tour, but we’re still waiting for news about the song. We’ll update this page as soon as we hear anything new. Hopefully we’ll hear the new music very soon!